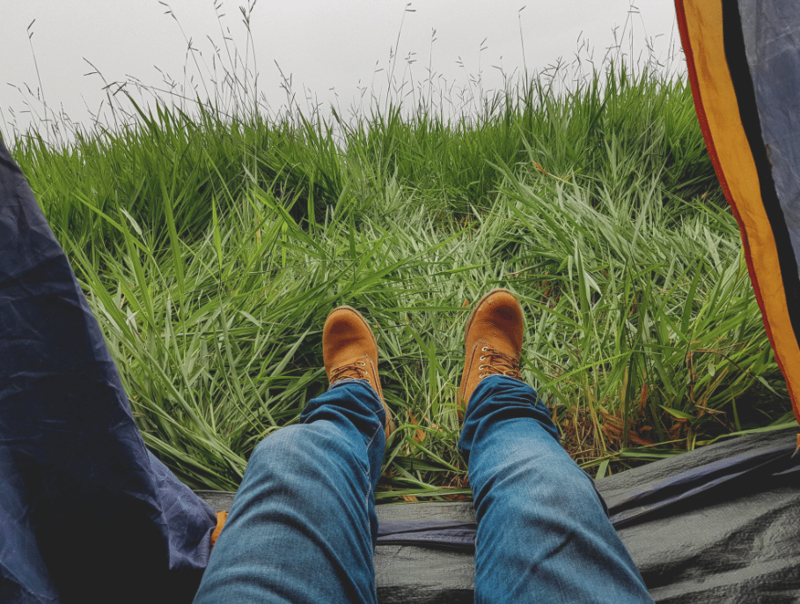 Home Brands Danner Hiking Boots: Are They the Right Boot for You? 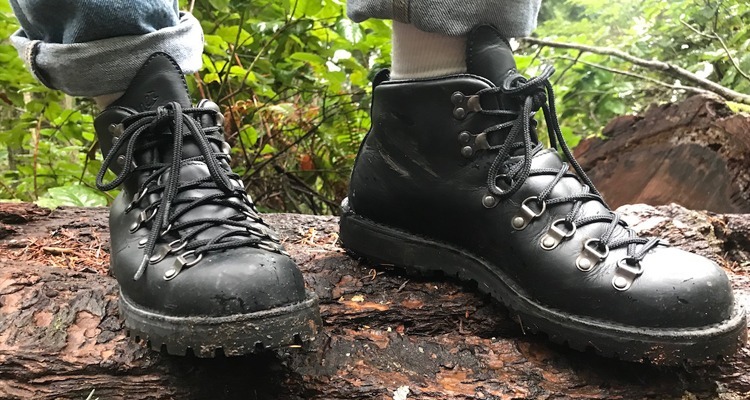 Danner Hiking Boots: Are They the Right Boot for You? 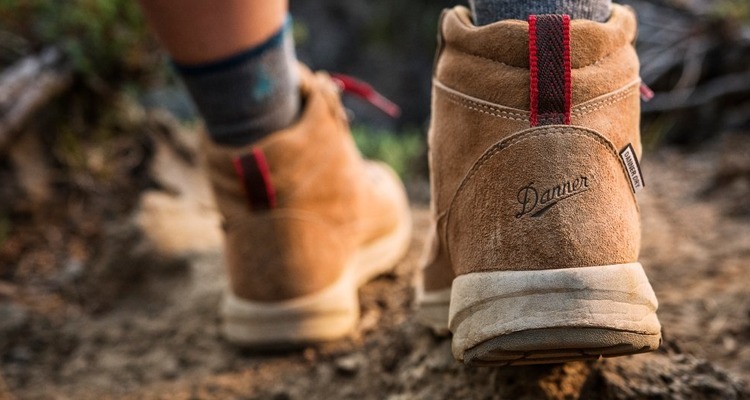 If you need a pair of hiking boots that are rugged enough to last for years but look stylish as well, then you may want to check out Danner hiking boots. These boots have quality materials. Also, they look fantastic, and they have hiking boots for both men and women of all sizes. One mistake a lot of people make is that they buy hiking boots based on looks. While price also plays a factor in people’s decisions, very few take the time to research their options before they buy. These people end up with boots that fall apart in mud, or leak moisture, or don’t last longer than one season. Thankfully you’re not one of those people. You’re learning what your options are, and Danner hiking boots should be high on your list. What Sets Danner Hiking Boots Apart? 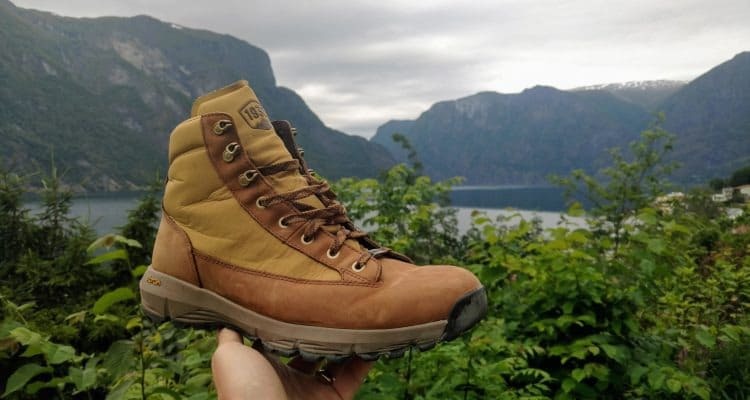 While there are a lot of hiking boot brands you can choose from, Danner hiking boots have a few features you won’t find in others. For instance, did you know that Danner was the first company to create a truly waterproof boot using GORE-TEX fabric? Also, in 2010 Danner became the supplier for U.S. military boots. They equip the men and women serving in Iraq and Afghanistan with comfortable, dry footwear that is rugged enough to withstand the stresses of combat and extreme environments. But if there is one thing that sets Danner hiking boots apart from all the others, its Danner’s history. It all began in 1932. That’s when entrepreneur Charles Danner opened the company in Chippewa Falls, Wisconsin. By 1976, Danner had four factories throughout the American mid-west. Today the company is still headquartered in downtown Chippewa Falls, and every part of Danner hiking boots get manufactured in the US. Because you need to know whether or not Danner hiking boots are worth buying, we turned to several sources to dig up as much information as we could. Our first stop was the Danner website itself. Here we learned about the company and reviewed the line of Danner hiking boots they offer. 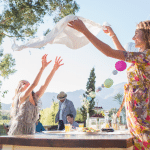 We were delighted with the design and experience of their website. It speaks to the brand’s image. Next, we dug through customer reviews on Amazon. This gave us a great idea of how these boots perform in the real world. 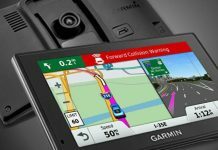 We love customer reviews, so we read through a lot of them. Finally, we compared Danner hiking boots to the competition. We looked at some of the biggest brands you’re likely to come across in your research, including Columbia, Timberland, and Kodiak. This gave us a good idea of how well Danner hiking boots stack up. Danner has four models of hiking boot from which to choose. Two of them come in sizes for both men and women. The Explorer boot and the Mountain boot are Danner’s most popular lines. Then there are Adrika boots, for women only. Also, the JAG boot is a unique line designed specifically for men. First up is the Explorer. This is one of the popular lines of Danner hiking boots. You can get it for men and women. This boot has with real leather and soft GORE-TEX waterproofing. It has a 1.5-inch heel joining a 0.75-inch full-grain platform, so your feet stay supported well above the ground. There is patented cushioning inside the boot for a comfortable hike. Best of all, this boot has a vintage look to it thanks to all that leather. If you’re wondering what other people had to say about this boot, then look at Amazon customer reviews. These boots received 5.0 out of 5 stars for the women’s boot, and 4.4 out of 5 stars for the men’s. Almost everyone, men and women, praised that there is no break-in required for these boots. They are comfortable from the get-go. Everyone loved the patented Vibram cushioned sole that makes hiking feel springy and soft. A few complained that these boots don’t do well in the snow, and start to leak, get extremely cold, and in some case, fall apart. Just stay out of snow, and you’ll be fine. Next is one of the most successful of Danner hiking boots. 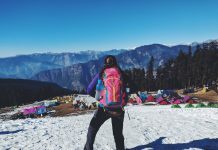 The Mountain line began in 1973, heralded by Backpacker Magazine as “the ideal hiking boot.” Like the Explorer, the Mountain comes in sizes for both men and women. This boot is for mountainous and hilly terrain, so if you’re climbing a lot, you may want to consider these. The Mountain boot has full-grain leather with waterproofing. The sole is Vibram mega-grip technology which prevents slips and slides on smooth, wet surfaces. Inside the boot is the same comfortable Vibram cushioning you find in the Explorer. Customers on Amazon rated these boots 4.3 out of 5 stars for women, and 4.4 out of 5 stars for men. Everyone said that the grip was amazing, and even prevented slips on smooth, wet wood (which we all know is the most slippery surface on the planet). Like the Explorer, customers found the Mountain boots super comfortable to wear. 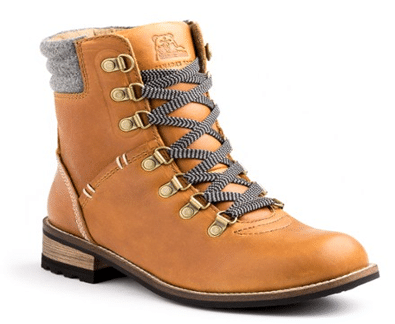 Third in Danner’s lineup is a women’s only hiking boot, called Adrika. These boots are designed for style as much as for utility. Instead of leather, the Adrika consists of suede, which gets lined with a 100-percent waterproof barrier. These boots also have a low profile so that you can wear it to the office or school as well as in the forest. The footbed is open-cell polyurethane for air circulation, so your feet won’t sweat. Women on Amazon gave the Danner Adrika hiking boot 4.7 out of 5 stars. This makes them one of the highest-rated boots on Amazon! Almost everyone loved the look and feel of these boots. 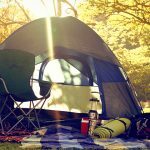 Several women wrote that these were perfect for traveling, especially to places like Scotland and Canada, where they spent a lot of time outdoors. Just like other Danner hiking boots, there was no need to break these boots in. Just like women have a stylish boot in the Adrika, men can enjoy the JAG boot. 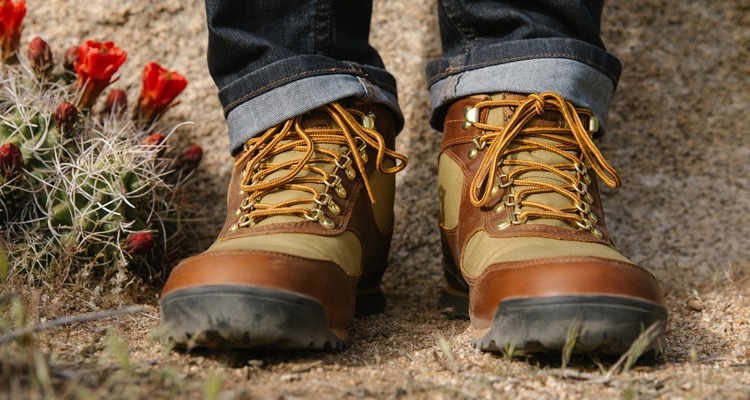 This Danner boot is for style, comfort, and hiking. It’s made with genuine leather and wool, giving it a comfortable, warm look. It’s an ankle-boot, meaning you can wear it during your social life as well as when hiking. Like the Adrika for women, it has open-cell innards, so your feet can breathe. Unlike the other hiking boots, this is a lightweight piece of footwear that won’t hold up well in snow or mud. Other men rated it 4.1 out of 5 stars on Amazon. Most guys loved that they can wear these to the office and then out fishing or hiking on the weekend. One guy said he only needs to own one pair of shoes since he bought the JAGs. One complaint that several men had was that the sizing is not consistent, and the boots they bought were a little too snug for their feet. Now that we know that Danner hiking boots may be the best hiking boot you can get, we also want to know how they stack up to the others. For instance, the Explorer may be super-comfortable, but can a Timberland handle snow any better? And if the Adrika and JAG are comfortable every-day hiking boots, then couldn’t a Columbia do the same thing for less? We put the Danner hiking boots against the best from four competing brands to find out. 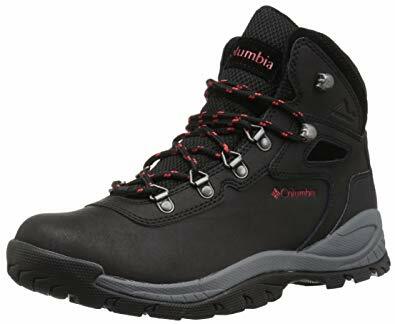 First up in our comparison is a comfortable hiking boot from Columbia. The Newton Ridge compares to both the Adrika and the JAG. It’s a comfortable everyday hiking boot that you can get away with wearing to the office or the brunch buffet. This boot is made with real leather and suede and has a lightweight feel to it. It’s waterproof but has a mesh tongue for breathability. 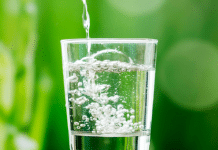 We’re not sure how well mesh is going to keep water out if you hit a big puddle during a hike. Women on Amazon rated these boots 4.7 out of 5 stars, giving us the impression that women really like comfortable hiking boots which they can wear around town. Meanwhile, men rated it 4.3 out of 5 stars. Almost everyone said that these boots are lightweight and very comfortable to wear. However, many people had a problem with the waterproofing. These boots tend to leak a lot, confirming our suspicions about the mesh tongue. 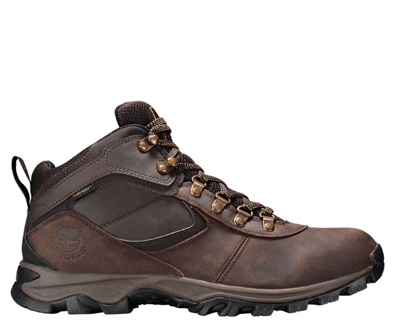 Next is the mountain hiking boot from Timberland, called the Mount Maddsen. This boot is part leather and part textile materials. It has a rubber sole made with 34-percent recycled materials. Also, the inside lining of the boot is an eco-friendly waterproof material. Although these boots don’t come with a lot of bells and whistles, they received 4.7 out of 5 stars from women, and 4.4 out of 5 stars from men. People loved the waterproofing on these boots, claiming that they hit puddles and mud and snow and never got a wet foot. However, almost every complaint concerned the low-grade glue Timberland uses to hold these boots together. Apparently, the boots fall apart after a season or two. 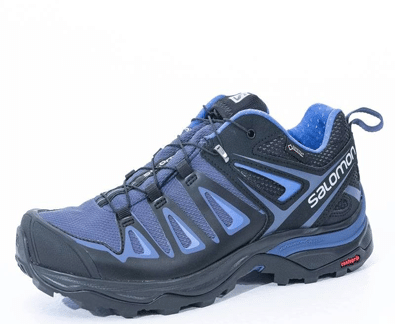 Next, we have the Salomon X Ultra hiking boot. This boot compares well to the Explorer line of Danner hiking boots. Salomon is known as an extreme sports company. They are heavy into the skiing and snowboarding markets, so you can expect their boot designs to be flashy and youthful. The women’s X Ultra is specifically designed for a woman’s anatomy, maximizing cushioning and support at crucial points in the foot. Both men and women get foam cushioning for comfort, and a rubber sole with deep treads provides some grip. Meanwhile, women on Amazon gave them 4.2 out of 5 stars, and men gave them 4.5 out of 5 stars, making these the first boots we reviewed that men liked more than women. Most people commented that the grip was aggressive and kept people from falling yet is lightweight. Everyone found these boots very comfortable. The complaints people had included waterproofing and an uncomfortable tongue, which compresses the top of the foot too much on the women’s shoes. Finally, we have the Surrey II from Canadian boot company Kodiak. If there’s one thing a British Columbia-based company knows a lot about, it’s mountain and forest hiking. Like Danner hiking boots, Kodiaks are all produced in Canada and the United States. The Surrey II is a women’s hiking boot is for function as well as style. Kodiak makes the Magog for men. Both are comparable to each other. This boot is tall and looks great with jeans. A microfiber lining allows your feet to breath while staying warm. There is a leather welt added to the wooden heel. This adds a bit of spring to your step while giving your boot a cool retro look. Both the Surrey II and the Magog come with thick rubber soles for slip-resistance. These boots look so good that you will be not only styling on the city streets, but also the hottest person on the mountain trail. Women rated the Kodiak Surrey II 4.5 out of 5 stars, while men rated the Kodiak Magog 4.1 out of 5 stars. Almost all the men said these were incredibly functional boots that are waterproof and keep their feet warm. Women wrote that the boots start very stiff and require some breaking in, but once they do, they’re very comfortable and warm. Like the men, women noted how well these boots keep water and cold out. All the customers praised the great grips on the soles of these boots. All in all, Danner hiking boots are some of our favorite hiking boots on the market. These boots are the most comfortable we’ve found. The fact that they don’t need breaking in first is impressive. We also loved the Adrika and JAG lines. The fact that Danner included boots you can wear comfortably in your daily life is appreciated. If we had one criticism of Danner hiking boots, it would be the lack of true waterproofing. In fact, except for the Kodiaks, every boot we looked at had an issue with keeping water out. It seems only the Canadians over in Vancouver have managed to keep boots warm and dry. That said, we highly recommend buying a pair of Danner hiking boots. Just don’t step in any snow or puddles. Otherwise, go with a set of Kodiaks. Next articleAsolo Hiking Boots: Men’s and Women’s, Are These Right for You?